This one is just about chocolate and lattes and a Pandora station recommendation at the bottom. Nothing deep really. 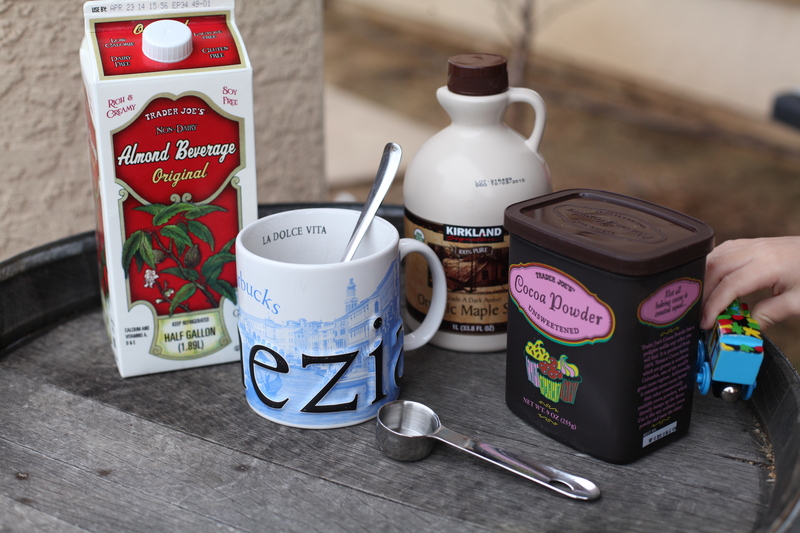 Hershey’s syrup vs. Rebekah’s Simple Chocolate – a coffee latte showdown. 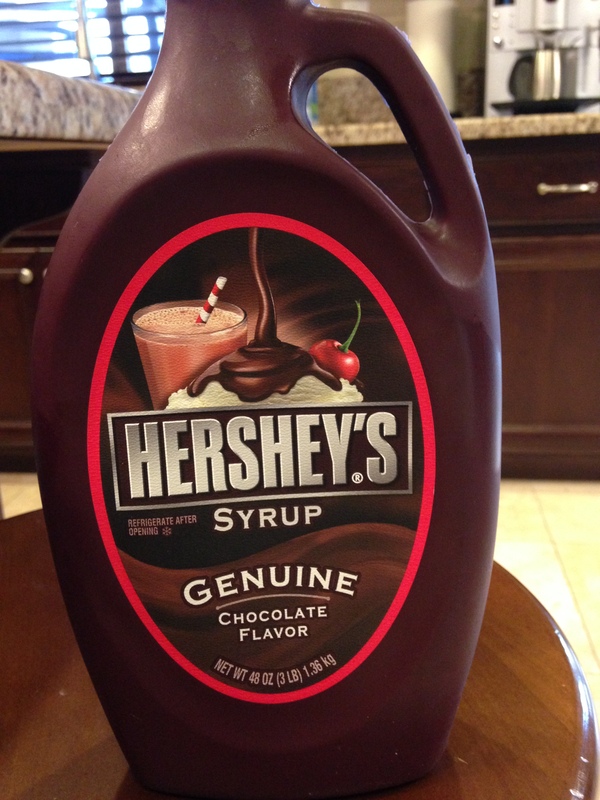 Hershey’s chocolate syrup is delicious in itself, although I always feel it leaves a slight aluminum taste in my mouth when I add it to a latte – I can’t explain this, I just taste it. 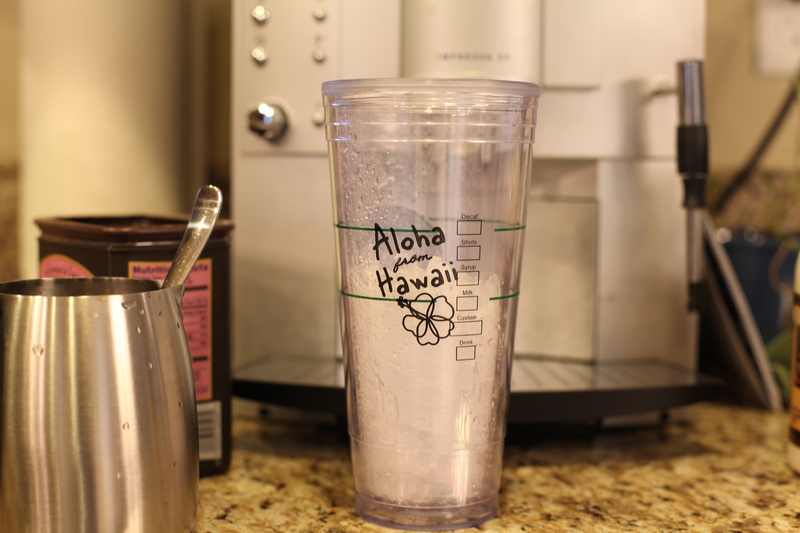 However, if I’m in a major hurry, I will totally pour it into my drink and run. Hershey’s syrup is 100 calories for 2 tablespoons, which is how much I would add to a typical latte. As a large, this would be a 220 calorie latte with loads of high fructose corn syrup, which nutritional people will say isn’t very good for us. So, I believe them mostly, and I’ve attempted to make what I think is a healthier version. I’m pretty sure. 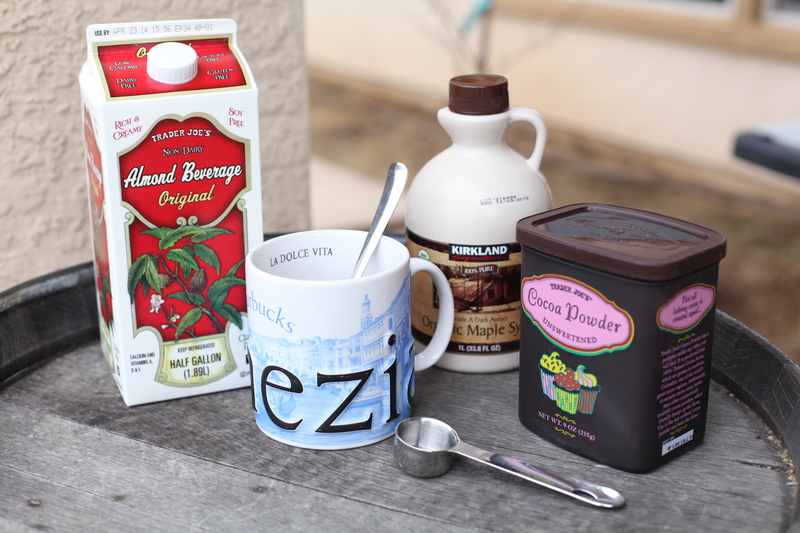 I did the math for us: 100% pure maple syrup (52.5 calories), Coco powder (20 calories), 2 cups of almond milk (120 calories), 1 oz. 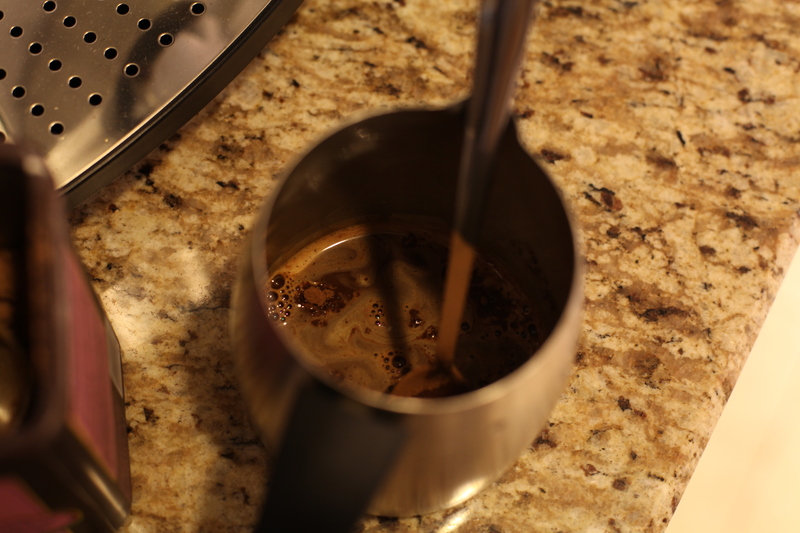 shot of expresso (like 2.5 calories). 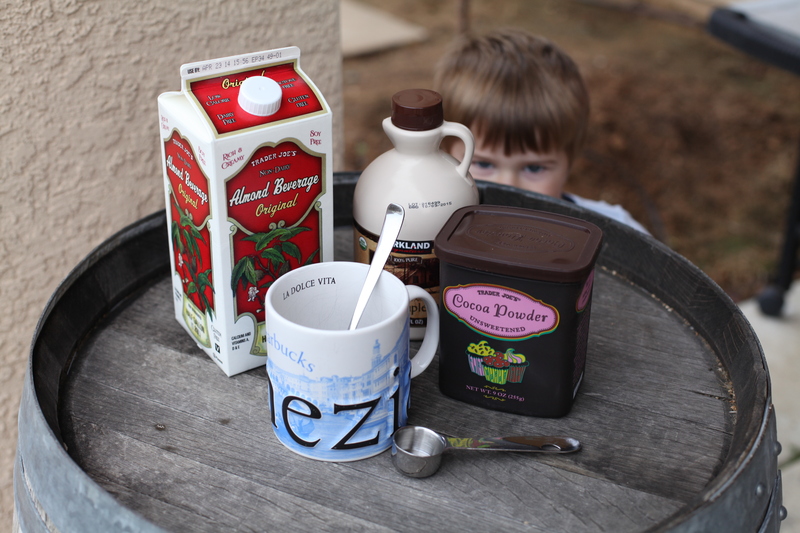 Have small child photo bomb your picture in various ways. Trains at 7 in the morning. Now that you’ve got all your ingredients gathered, prep your coco powder. Pull your shot. You can do more than 1 oz. it will just taste a little more like coffee a little less like chocolate. No shame in that. 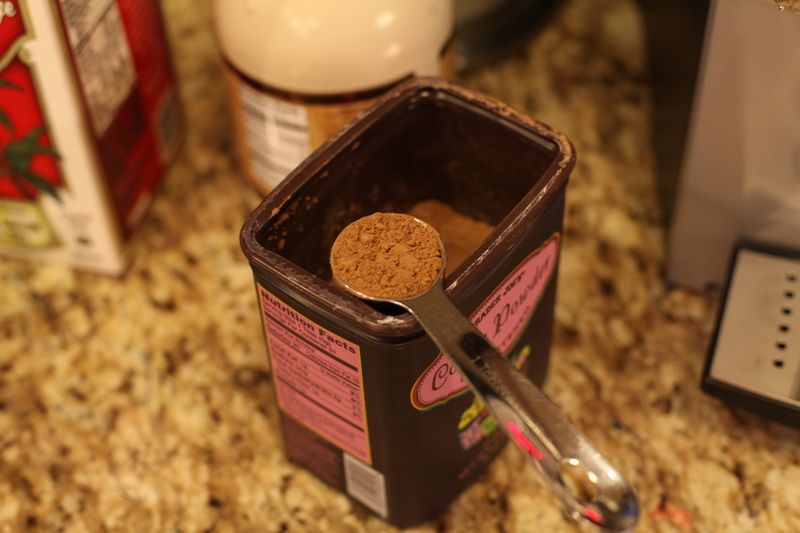 Drop your tablespoon of coco into your hot shot. 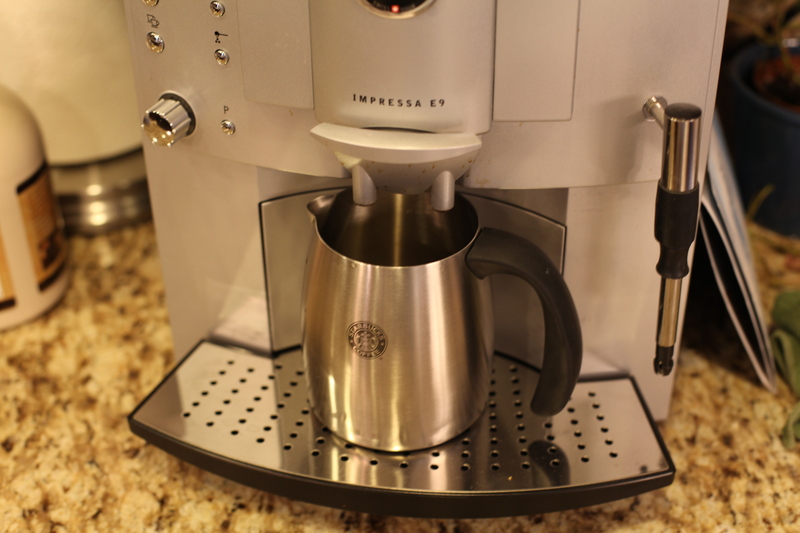 When I was a barista in college, they taught us that a shot of expresso should stand by itself no longer than 20 seconds. Stir the coco and expresso together until there are no lumps. Add 1 tablespoon of maple syrup. Gather your ice. Fill it to the line. I didn’t measure it, because I just fill it to the line. Then walk the line with Jonny (Cash, that is). Add your milk, leaving room at the top for your chocolate mix and then a bit more. Pour in your expresso, coco, maple syrup mix. Splash a bit of milk back into the coffee container and rinse out the rest of the chocolate and pour that in your drink too. Waste not the chocolate. Waste not. 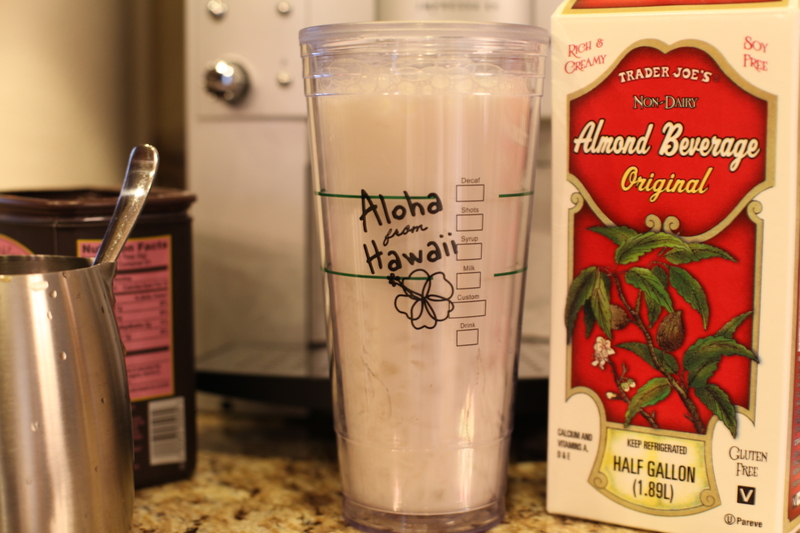 Enjoy your 195 calorie large delicious beverage that has only 4 real ingredients. Side note: Please add Hillsong Young & Free to your Pandora account and listen if you need a kick you up and awake POSITIVE type of morning. Every time it plays hip-hop, be sure to like it and your station will only get better. I’m a fan of secular hip-hop, but it’s hard to get psyched for my day with my beautiful little children while hearing the lyrics, “Been around the world, don’t speak the language, but your booty don’t need explaining.” That’s a no. Ima’ bout to jam to Je’kob and Capitol Kings thankyouverymuch. Similar sounds, greatly improved message. Have a happy Monday!